It begins with strong leadership. RadNet’s success is founded on strong leadership, exemplary business acumen and a commitment to the future of healthcare. Meet RadNet’s management team. Dr. Howard G. Berger, M.D. Dr. Howard G. Berger, M.D., co-founded RadNet in 1980 and serves as its President and Chief Executive Officer. Dr. Berger has over 25 years of experience in the development and management of successful healthcare businesses. He began his career in medicine at the University of Illinois Medical School, following college graduation from Western Reserve University in Cleveland. He is Board Certified in Nuclear Medicine and trained in an Internal Medicine residency as well as in a masters program in medical physics in the University of California system. 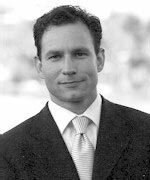 Dr. Berger’s extensive expertise in radiology and business operations, knowledge of the marketplace and personal relationships within the industry have afforded RadNet with the leadership, insight and experience necessary to successfully compete in a dynamic marketplace. Norman R. Hames serves as RadNet’s President and Chief Operating Officer for Western Operations. Applying his 20 years of experience in the industry, Norman oversees all aspects of facility operations. His management team, comprised of Regional Directors, Site Managers, and Sales Managers are responsible for responding to all of the day-to-day concerns of our facilities, patients, payers and referring physicians. Before joining RadNet, Norman was President and CEO of his own company, Diagnostic Imaging Services, Inc. (DIS), which owned and operated 14 multi-modality imaging centers throughout Southern California. Norman gained his initial experience in operating imaging centers for American Medical International (AMI) and was responsible for the development of AMI’s single and multi-modality imaging centers. Stephen M. Forthuber was named Senior Vice President, Field Operations of Radiologix in November 2005 after serving as Senior Vice President and Chief Development Officer of Radiologix, Inc.
Steve joined Radiologix in 2000 as Regional Director of Operations for the Northeast, where he was promoted to Regional Vice President for the Northeast in 2002. Steve has 23 years of healthcare experience, with 18 of those years exclusively dedicated to radiology practice management. 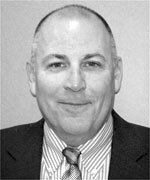 Before joining Radiologix, Steve held various roles at PerSe Technologies’ Physician Services Division, including Regional Vice President and Area Executive for the Northeast. As Area Executive, Steve was responsible for managing all aspects of the Physician Services’ outsourced business services and consulting in the Northeast. From 1982 through 1995, Steve worked at Medical Management Sciences, Inc. (MMS), a private company providing outsourced Reimbursement Operations and Practice Management to Radiology and Radiation Oncology practices. Steve served in many roles at MMS, culminating as the company’s President and Chief Operating Officer for Eastern Operations. Steve earned a B.A. in Business Administration from The College of William and Mary in Virginia. Jeffrey L. Linden received his bachelor’s and law degrees from the University of California, Los Angeles. He was an attorney for the Securities and Exchange Commission from 1967 to 1968, and has been in private practice since that time. Jeff was chairman of the Business Organizations Section (1974-75) and President (1979) of the Century City Bar Association and is a member of the Corporation, Banking and Business Law and Health Law Sections of the American Bar Association. Before joining RadNet, Jeff’s practice was diverse, representing healthcare organizations, banks, silver mines, shopping centers, and many other types of businesses. He has lectured before numerous organizations on various topics, including the California State Bar, American Society of Therapeutic Radiation Oncologists, California Radiological Association, and National Radiology Business Managers Associations. Jeff personally handled the roll-up, public financing, reorganization, and sale to RadNet of Diagnostic Imaging Services, Inc., a large medical diagnostic imaging company in California. He continues to provide the company with legal and business advice in all areas of operations. Mark D. Stolper has served as RadNet's Executive Vice President and Chief Financial Officer since 2004 and prior to that was an independent member of the company's Board of Directors. He is responsible for all aspects of the Company’s financial functions and disciplines. Before joining RadNet, he had diverse experiences in investment banking, private equity, venture capital investing, and operations. 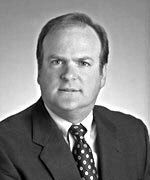 Mark began his career as a member of the corporate finance group at Dillon, Read and Co., Inc., executing mergers and acquisitions, public and private financings, and private equity investments with Saratoga Partners LLP, an affiliated principal investment group of Dillon Read. After Dillon Read, Mark joined Archon Capital Partners, which made private equity investments in media and entertainment companies. Mark also worked for Eastman Kodak, where he was responsible for business development for Kodak’s Entertainment Imaging subsidiary ($1.5 billion in sales). Mark was also co-founder of Broadstream Capital Partners, a Los Angeles-based investment banking firm focused on advising middle market companies engaged in financing and merger and acquisition transactions. Mark graduated with a liberal arts degree from the University of Pennsylvania and a finance degree from the Wharton School. Additionally, Mark earned a postgraduate Award in Accounting from UCLA. Michael Murdock joined RadNet in November of 2006 upon the acquisition of Radiologix by RadNet. Mike was Senior Vice President and Chief Financial Officer of Radiologix since January 2005. Mike has spent the majority of his career in senior financial positions with health care companies, including positions with American Medical International and its successor American Medical Holdings, Inc., a $2.4 billion in revenue publicly traded owner and operator of acute care facilities that was acquired by National Medical Enterprises, now Tenet Healthcare. Mike also served as Chief Financial Officer of Physician Reliance Network, Inc., a $398 million in revenue publicly traded physician practice management company, specializing in oncology. In 1999, PRN merged with American Oncology, Inc. to become U.S. Oncology, Inc., the nation’s largest healthcare network dedicated to cancer treatment and research. 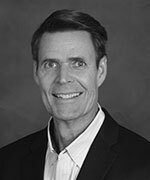 From 1999 through 2004, Mike served as CFO of Dental One, a venture capital-backed owner and operator of 48 dental practices in Texas, Arizona, Colorado, and Utah. 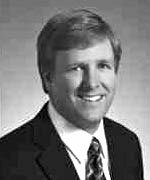 Mike began his career in 1978 as an auditor with Arthur Andersen after receiving a B.S. degree from California State University, Northridge. Mital Patel has more than a decade of senior healthcare management experience. As RadNet’s Executive Vice President of Financial Planning and Analysis, Mital directs national budgets and finance, provides counsel regarding corporate acquisitions and identifies opportunities for the company to deliver cost-effective medical services. Prior to joining RadNet, Mital was a Director of physician liaison for Truxtun Radiology, where he helped grow practice revenue, managed operation initiatives and Quality Compliance measures and played a pivotal role in managing Truxtun’s acquisition by RadNet. Mital is active in the community, having held board seats in several non-profit organizations. Mital earned his B.A. in Business Administration, with a concentration in Management and Marketing, from California State University in Bakersfield. Patricia Blank is a seasoned healthcare services executive with 20 years of executive level leadership. Before joining RadNet, Pat held multiple executive positions over a 15-year period with radiology services provider CDI/InSight Imaging. Those positions included Chief Information Officer, Executive VP of Operations, and Executive VP and General Manager of Information Services and Technology, Revenue Cycle Management, and Operations Support. Prior to InSight, she served as Chief Operating Officer for HealthHelp, a Radiology Benefit Manager, and Veritrac, a credentialing verification organization. Pat was a founding member of the Association for Quality Imaging, a Washington, DC-based advocacy organization representing outpatient imaging providers. She has a BS in Radiologic Technology from DePaul University in Chicago. 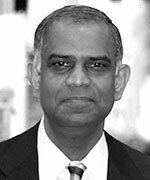 Ranjan Jayanathan is RadNet's Chief Information Officer and General Manager of eRAD, the company's information technology division. Ranjan joined RadNet in 2010 from Voyant Health, where he was the General Manager of American operations. Prior to Voyant, he was a member of the executive management team of Dynamic Imaging. During his nine year tenure at Dynamic Imaging, Ranjan managed sales, client services, and solutions architecture. He assisted with Dynamic Imaging’s sale to General Electric in 2007 and its integration into GE’s operations. Prior to Dynamic Imaging, he held various Chief Information Officer and Research and Development positions at Advanced Radiology, Reynolds and Reynolds, and National Medical Computer Services. Ranjan earned a degree in electrical engineering from the Massachusetts Institute of Technology. Ruth Wilson joined RadNet in 1994. As Vice President of Human Resources, she is responsible for the development and management of all employment related policy and benefits programs. Ruth earned her B.A. in Psychology from the University of California at Santa Barbara and is an active member in human resources societies, PIHRA and SHRM. Laura Foster, BSRT, MPH, J.D., has more than 20 years of experience in radiology and manages RadNet's highly regarded Quality Assurance and Quality Improvement programs. Since joining the company in 1997, she has held multiple roles in compliance, quality assurance, and regulatory affairs. She spearheaded accreditation of RadNet imaging centers through the prestigious Accreditation Association of Ambulatory HealthCare Center, and she established RadNet's Compliance and Quality Assurance sector in the Middle East. Laura is responsible for overall Compliance and Regulatory Affairs for the entire company. She completed her Master of Science in Public Health Administration from the University of Laverne and her Juris Doctorate law degree from Southern California University. 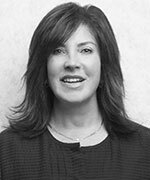 Deborah L. Saly joined RadNet in 2007 after working in private practice primarily as a business and employment law litigator. While in practice, Deb worked closely with various business entities, including large healthcare companies and financial institutions. Deb assists RadNet in all areas, preparing legal documents, handling disputes and litigation, and providing advice, counsel and legal oversight on behalf of the Operations, Human Resources, Marketing and Quality Assurance and Regulatory Departments. Deb received a Bachelor of Arts degree in political science from the University of California at Santa Barbara and earned her Juris Doctorate from Loyola Law School in Los Angeles. She also currently serves as Vice President and Secretary of the non-profit organization, the Cancer Research Collaboration, and sits on the Board of Directors of the Be Aware Foundation. 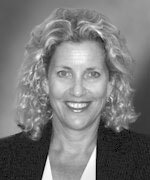 Terri Herrick has more than 27 years of experience in medical imaging. In her 22-year tenure at RadNet, where she started as a Marketing Representative in 1995, she has earned Sales Rep of the Year honors and has been promoted, first to Director and then to Vice President of Sales & Contracting. 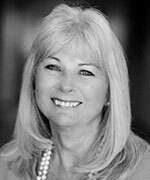 Terri developed the policies and training programs for RadNet marketing representatives and is instrumental in identifying and capturing the California marketplace with contract negotiations for PPO, HMO, and Workers' Compensation clients. She has increased RadNet's capitation program to more than two million lives with many IPA/medical groups. Terri coordinated and negotiated RadNet’s sports contracts with all the major teams in Los Angeles, Orange, and Northern California. She created RadNet Direct, a successful entry into the workers' compensation arena for employer-based organizations. She graduated with a Bachelor of Science degree in marketing management from Bentley College in Waltham, Mass., and earned her MBA from Pepperdine University in Malibu, California. She is on the board of the Cancer Research Collaboration. Charlie Shaw joined RadNet in 2010. He has been involved in the delivery of health care for over thirty years. He develops managed care strategies to ensure financial stability during unprecedented challenges in a rapidly changing health care industry. He has held leadership and management positions in health care policy, contract management, marketing, operations and coordinating policy and administration for large hospitals and healthcare networks. He is a retired US Navy Medical Service Corps Commander. He is a 1986 graduate of the University of Maryland University College, receiving a Bachelor of Science Degree in Health Care Management. He has an MBA (Finance Major) from Loyola College of Baltimore, and is a 1997 graduate from the Naval War College. Charlie is a Fellow in the American College of Health Care Executives (FACHE), a Project Management Professional (PMP) and a Managed Healthcare Professional with the Health Insurance Association of America.